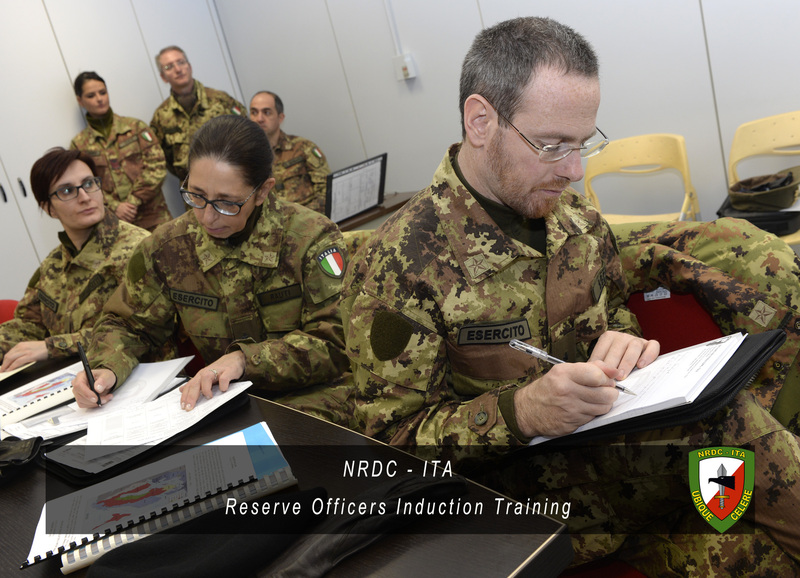 Today 1st of February at NRDC-ITA begins the week-long “training on job” for 6 Italian Reserve Officers. Reserve Officers are civilian “Subject Matter Experts” in their professional fields. They perform military training and serve in homeland and operations together with the regular Army. Their contribution is given under a fixed-term contract to provide their peculiar expertise to the Army, in case of need. 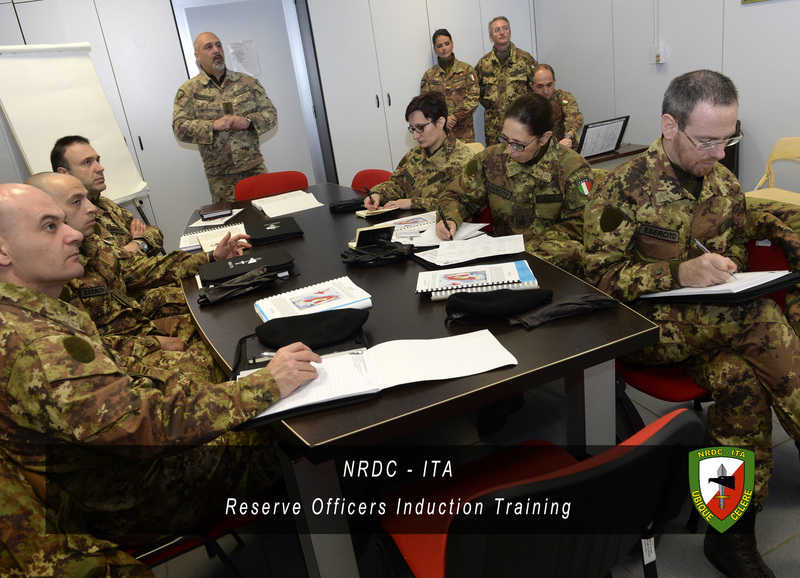 The activity, organized by the Italian Defense, includes a short briefing about NRDC ITA HQ role, functions and future commitments and a week-long military training during which the Reserve Officers will work in several different branches of the headquarters.